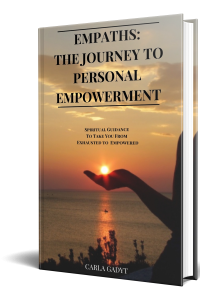 If you are an Empath wanting to go from exhausted to empowered and create an amazing life, this is the programme for you. So I’ve created this 15 Day Intensive online programme with the purpose of helping you do the same. And if you are here reading this, is because you probably feel ready to do this shift in your life. This programme is for you to do a soul activation, i.e, giving fuel to the existing spark in you that craves for change, raising your vibration and aligning with your true self. It is a life-changing programme designed for you to go deep within yourself, feel what needs to be released and shift into a positive vibration. You have to feel ready to let go of protective bubbles and shields and go deeper within yourself, releasing anything that needs to be released and connecting and fully owning your personal power. I don’t believe that you finding this today was an accident because you are DESTINED FOR GREATNESS! By enrolling in this programme you are doing an investment in yourself that will change not only your present, but the rest of your life, by committing to expansion and growth. This is a process of deep self discovery of self, where you are supported, nurtured, guided and assisted in connecting to yourself, stepping in to your courage and living authentically. 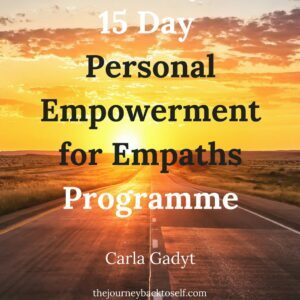 In this programme you have access to 15 exclusive coaching videos where I coach you on how to connect and step into Personal Empowerment as an Empath, and you’ll also get access to the eBook “Personal Empowerment for Empaths”. 1h Private Coaching Session on Skype with me at the end of the programme. This is is going to be an amazing 15 day journey that will completely transform your life. You’ll have access to information that will shift you into a much higher vibrational frequency: the one that matches and is aligned with your true self and the awesome life you want to create and manifest for yourself using your amazing gifts as an Empath. This is a life-changing programme that will impact how you see yourself and everything else for the rest of your life. With this programme, you’ll never see being an Empath as a curse ever again. You’ll see it as blessing and a gift to be honoured. Living joyful in the now as an Empath! On the following 2 months after you purchase this programme, you can ask me up to 3 questions through email, which I’ll respond asap. This programme is non-refundable after purchasing. I cannot guarantee results, as that depends on each person and how much they invest in applying what is described. 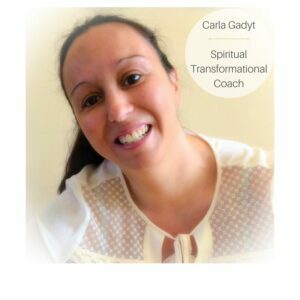 Carla’s program has helped me immensely. I can’t live life miserable and overwhelmed and expect the good life handed to me on a silver platter. Life is hard but the more you live life in the light, and with the most positive attitude you can muster up, life will get better. You have to believe your special to see the special in this world…. Carla’s program is amazing and I would recommend it to anyone!! Carla is great as far as helping! I was letting negative mixed thoughts interfere with my mind trying to focus on positive affirmations and she has helped me resolve this battle in my mind. Thank you so much for creating your program. You guided me through everything: from the manifestation idea to creating goals and manageable steps to encountering resistance to creating joy in my life. I am so happy to have been a part, and I will reference the program often!